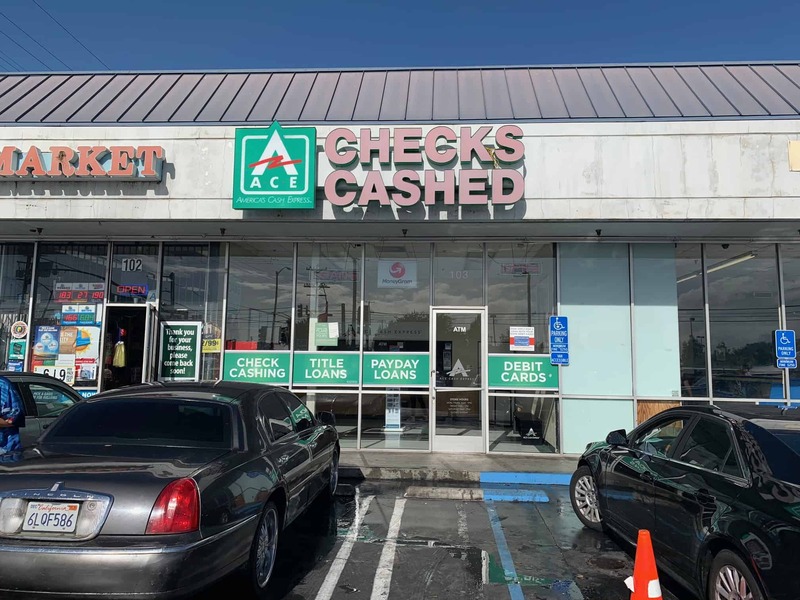 This ACE location is situated at the corner of Normandie Ave., and Imperial Hwy., in a small shopping plaza, next to Super Laundry. There is plenty of free parking for guests. Westmont’ Metropolitan Transit Authority’s Bus lines #120, #206, and #209 all stop at Imperial/Normandie, just across from this ACE location. Check LA Metro’s website for details and regulations about stops and schedules. Due to the high-volume of the area, this location neighbors Food 4 Less grocery, Dollar Tree, Del Taco, and Winchell’s Donut, to name a few. Auto Title Loans Powered by LoanMart in Westmont! Looking for an affordable emergency loan? LoanMart may be able to help. You may qualify for up to $30,0001 in financial support in as little as one business day3. Customers with all credit types are welcome to apply.1 For funding in Westmont, look no further than an auto title loan powered by LoanMart. An auto title loan is a type of loan that allows you to use the title to your vehicle as collateral to obtain financial support. Traditional lending institutions often look at credit history, and little else. Approval for an auto title loan powered by LoanMart is determined by a variety of factors including the vehicle’s mileage, equity, as well as the ability to pay on time each month. Obtaining emergency funding in Westmont should be a breeze. When you apply for a LoanMart auto title loan, it is. Traditional lenders may make you sit and wait and fill out mountains of paperwork. But auto title loans powered by LoanMart provide inquirers with a streamlined, simple process. The first step toward obtaining an auto title loan in Westmont is getting in touch with LoanMart. Choose a contact method below and get started! Fill out the information request form on this page and receive a call from a LoanMart Agent. Click Chat Now for an instant connection to a representative during available hours. Once approved, your loan agent will talk to you about how to obtain your money at ACE Cash Express!